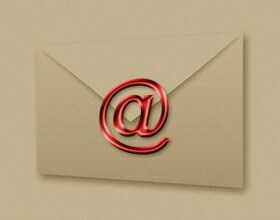 Before explaining soft email marketing, it is important to talk about regular marketing as a tool. Hard marketing is in your face ads. You can probably think of a few commercials or radio ads that have been annoying to you, but you remember them because they were hard targeting. They make you recognize the brand and remember it even if it is annoyance. A softer method is what many of the corporations have turned towards. Placing your ads with a back door method is what the marketing world considers a softer approach. Think about soft drinks. They used to provide hundreds of ads, but many of them have scaled back with fewer ads and more indirect marketing. They take their products into TV, movies, and shows. Someone is drinking a soda versus making an ad of it. You remember this and think "hmm that sounds good." Emails used for marketing used to offer one thing: an overabundance of links, keywords, and minimal content. In fact many pictures are still used in the hard target approach. Think about a famous retailer you have email messages from. Does that retailer send you images of their sale poster, the dates, times, and a coupon for 10% off? There are plenty that do. This is a hard sell. They are giving you all these images to make you see something you want, dangling a carrot, and telling you when to come visit their business. It still works, but you do not have to use their approach each time. Instead, think of a way you can provide value about your site or business services and products. Is there a lesson you can give the person? For example if you have a service about plumbing, it would be nice if you talk about fixing a toilet by using a plunger or perhaps how to reset the toilet tank when it is running without stopping. You provide an answer, plus you give them a place they can go when these solutions do not work. They might work and the person will remember you next time when they have a larger plumbing issue. The point is by offering some informative details you are soft selling the service. At the end you still have a call to action with your website, business hours and the like, but you are not spamming it throughout the email. This is not an article to tell you hard sales emails are wrong. There are a time and a place to use them. Retailers use them to give percent off and remind someone they exist. You can also use a hard target email marketing campaign for your discount sales. You are providing something that benefits the person. What you cannot do is provide a hard sales email without any value to the consumer. You might tell them the answer is below or they will learn the answer, but at the end of the email you redirect them to your website. This has just wasted the reader’s time. So if you are going with a hard sell you need something of value. If you want the soft marketing approach it needs to be highly valuable, with a subtle yet apparent call to action at the end. Based on the current situation at your company, the target audience you are approaching, and the message you are sending you can figure out which technique to use. With soft techniques you have a way to email, gain sales or clients, and succeed in business. It is also a technique you can use in other ways like blogs on your site, blogs on other sites, forums, and other postings. Even your Facebook campaign can have softer prompts than a hard sell. Email is just one place that many forget to use it as an important and valuable technique.